At the Center for Dermatology and Laser Surgery we offer non-invasive procedures to help you slim your body profile: CoolSculpting®, BTL Vanquish ME™, and BTL Cellutone™. scientists were conducting on the effect eating popsicles had on the evelopment of cheek dimples in children. Dimples form when there is a dearth of fat, and the scientists concluded that eating the popsicles killed fat cells in the area creating dimples. From there, it didn’t take much of a leap to develop CoolSculptng. CoolSculpting works on the premise that fat cells freeze and die at a higher temperature than the adjacent tissue cells. Once the fat cells are frozen they die and the body flushes them from the system over the next few weeks. 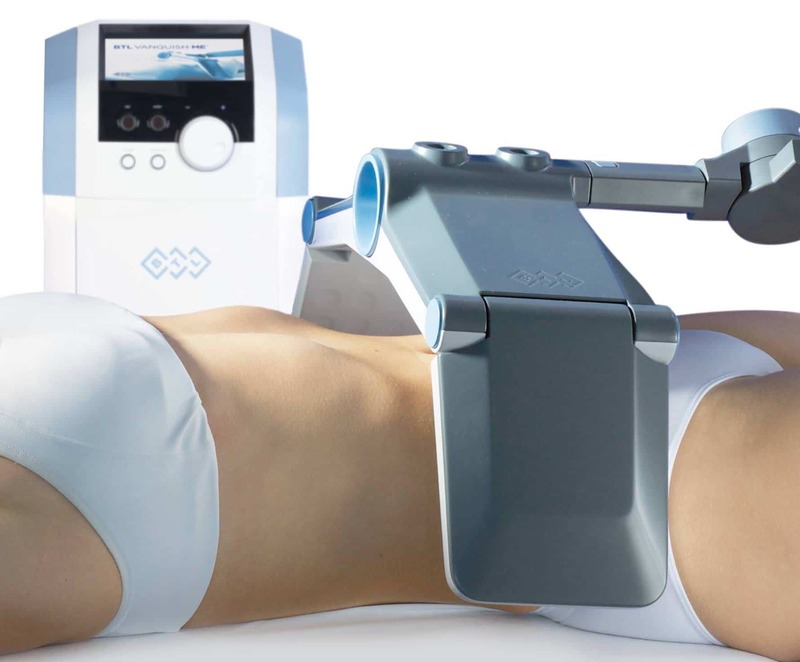 CoolSculpting achieves a 20 percent fat reduction in the treatment areas. The procedure uses cooling panels that use suction to draw up the skin in the treatment area. Then controlled cooling is delivered down into that tissue, freezing the fat cells. The procedure is painless and patients can read, play games on their phone, or work on their laptop during the sessions. 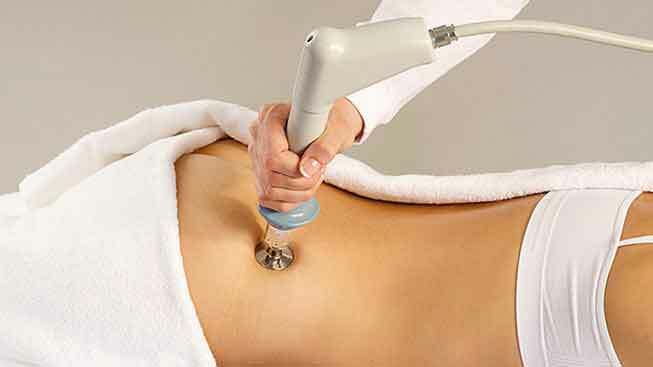 Whereas CoolSculpting freezes the unwanted fat cells, BTL Vanquish uses radiofrequency energy to melt the fat. BTL Vanquish ME creates a high-frequency energy field that delivers the energy downward into the tissue. Like CoolSculpting in reverse, BTL Vanquish heats the fat layer to 43-45 degrees Celsius, which is the required temperature to begin to liquefy and kill fat cells (apoptosis). This heat doesn’t damage the overlying skin or underlying muscle tissue because they stay at a cooler temperature due to their naturally higher level of moisture. BTL Vanquish ME employs a panel array that can treat the entire abdominal area at once, an advantage over other systems with smaller energy delivery areas. At the Center for Dermatology and Laser Surgery we combine those non-invasive body shaping procedures with BTL Cellutone to achieve enhanced results in a quicker timeframe. The BTL Cellutone hand piece delivers therapeutic vibrations into the target areas. These vibrations contribute to increased lymphatic drainage, waste elimination, and blood flow. This ensures that the fat cells either frozen by CoolSculpting or melted by Vanquish ME are eliminated more quickly and more efficiently by following those procedures with Cellutone. Interested in losing the fat without surgery? Call us at the Center for Dermatology and Laser Surgery, 503-297-3440, and ask about our non-invasive body contouring options.